Soul to Sole is a nonprofit event helping to dress local students for their special night. 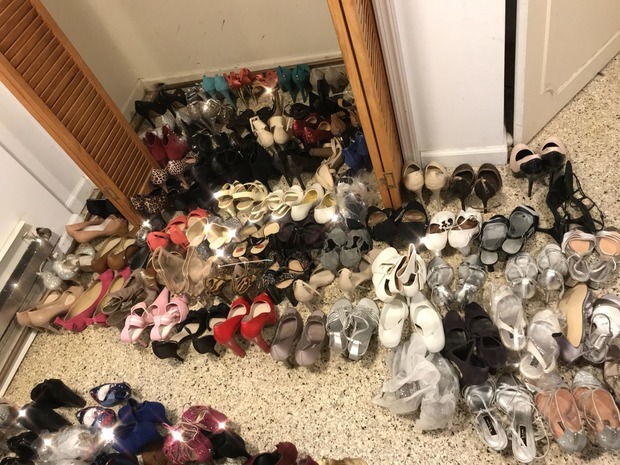 In the 40-foot long basement in an apartment in East Flatbush, Pheona Grant and Chanel Adams are unpacking a box of high heels from Atlanta. 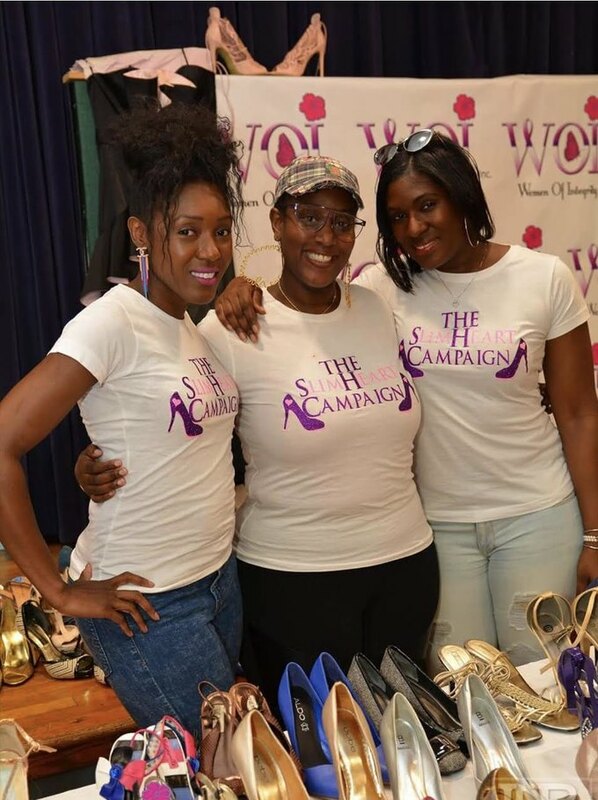 The two women had just received a box of shoes for The Slim Heart Campaign’s annual charity event, the Soul to Sole Shoe Drive brunch. The event collects dress shoes that The Slim Heart Campaign will clean and distribute to various prom drives and dress giveaways happening around New York City. This year, the event is being held in Bushwick at The Crisis Bar on April 7 from 12 p.m. until 5 p.m.
Adams, a producer and executive assistant at CBS Channel 2 News, founded The Slim Heart Campaign and held the first shoe drove eight years ago, along with her high school friend and the organization’s vice president, Grant, who’s a manager at an animal hospital. Adams, Grant, and their third friend Janella French-Kenton, an ACS worker, organize and run the shoe drive together in order to give back to the community. Adams came up with the idea because she has a penchant for shoe-shopping herself. “Chanel’s the shoe-crazed of the group. I would say Chanel, then Janella, then me,” Grant said. She estimated that the first shoe drive received around 450 pairs their first year, and it has steadily increased each year. Co-presidents of the Slim Heart Campaign. This year The Slim Heart Campaign co-presidents hope to double last year’s end result of 700 donations. “We feel that this year is gonna be the biggest year,” Grant said, because the organization has gained so much publicity and praise over the years. “Mainly, it’s our friends who usually just come and they’re like ‘okay, so what do we do?’ This is the first year where people are actually like ‘oh, I have some kids that can help you this year.’ Eight years later is when we give all that,” Grant said before breaking into laughter. “It’s the longtime connections. A lot of the people that have been supporting us for years. They’ve known us for so long and they’ve seen how far that we’ve come that they have no reservations at all supporting and helping us, so that what makes us successful, the friends that we have and the family that we have,” Grant said. This year, the shoe drive will take place at Grant, Adams, and French-Kenton’s friend’s bar, The Crisis Bar, with gift bags for the first people who enter. The event was also made possible with the sponsorships from BCakeNY, ShoeDazzle, Voss Water, and Portia Nicole Creations. ShoeDazzle and Just Fab have donated shoes to the Soul to Sole since its first year, and this year Macy’s and will also donate shoes to the event. 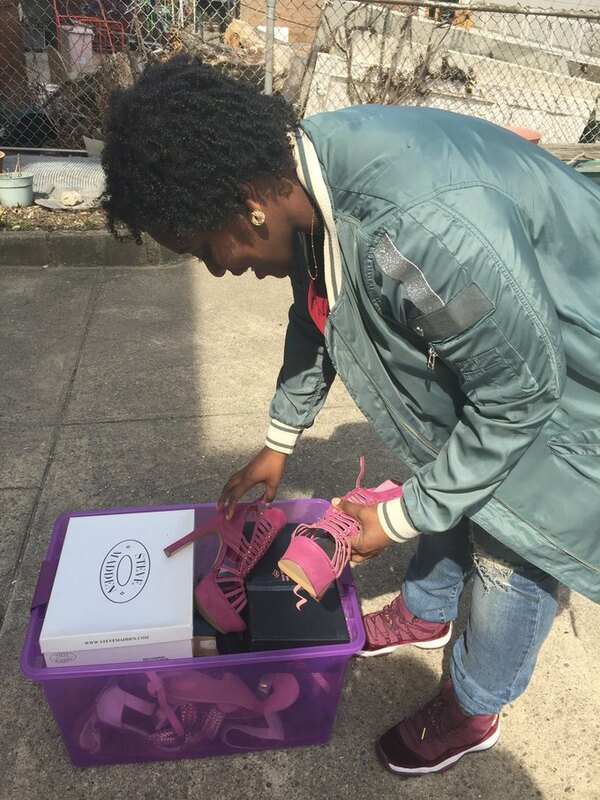 Chanel Adams unpacking shoes for the drive. Once they collect the shoes, the women of The Slim Heart Campaign have to work quickly to distribute the shoes to each organization. Last year they donated shoes to The Junior League of Brooklyn, Senator Kevin Parker’s Prom Dress Giveaway, and Operation PROM. Grant, Adams, and French-Kenton attend these drives, which provide attendees with both dresses and shoes. Some even offer two dresses, so that high schoolers have a new outfit to wear for graduation. Because Grant Adams and French-Kenton know the shoes so well after cleaning and distributing them, they often provide help with matching heels with dresses. While attending the prom drives, the women get to see the fruits of their labor. In the press release for the Soul to Sole, Adams said, “You only get one prom and every teen should experience that. 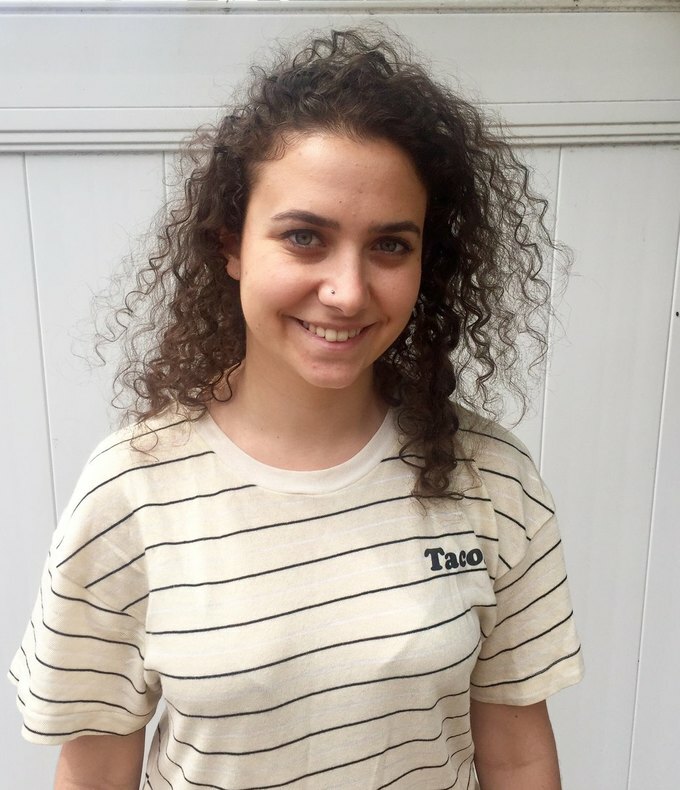 Financial difficulties should not prevent that.” For Grant, prom represents “the next chapter.” The Slim Heart Campaign will help many high schoolers feel great taking the next step into their future. If you can’t attend the event in person, you can drop off lightly worn or new dress shoes—in men’s or women’s—at Bridal Reflections, DaSpot NYC, Coiffed 220, and City Roots Realty. To get involved and to keep up with Soul to Sole, follow their campaign on Facebook, Instagram, and Twitter. Editor's Update: the article stated that brunch at the event was complimentary, which is not the case. Photos courtesy of Soul to Sole.